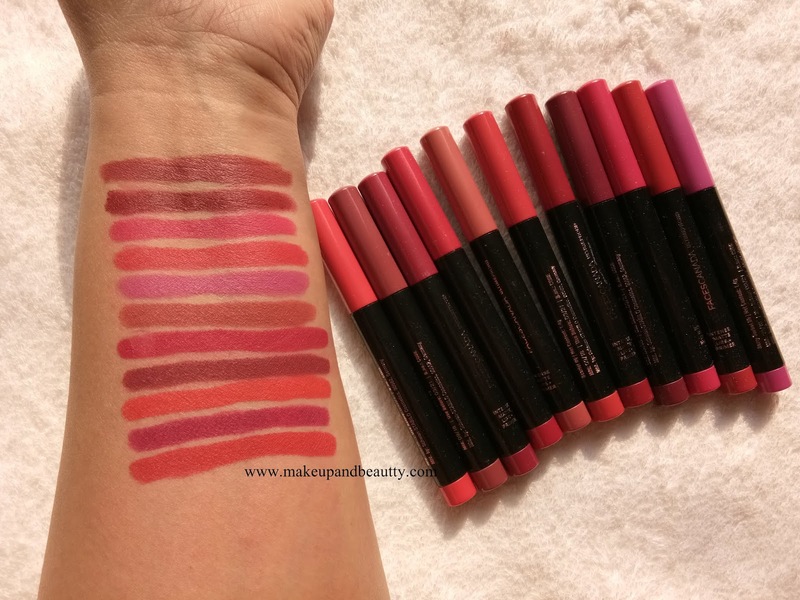 Finally, I am up with swatches and review of 11 new shades from a new range of lipsticks from FACES CANADA. 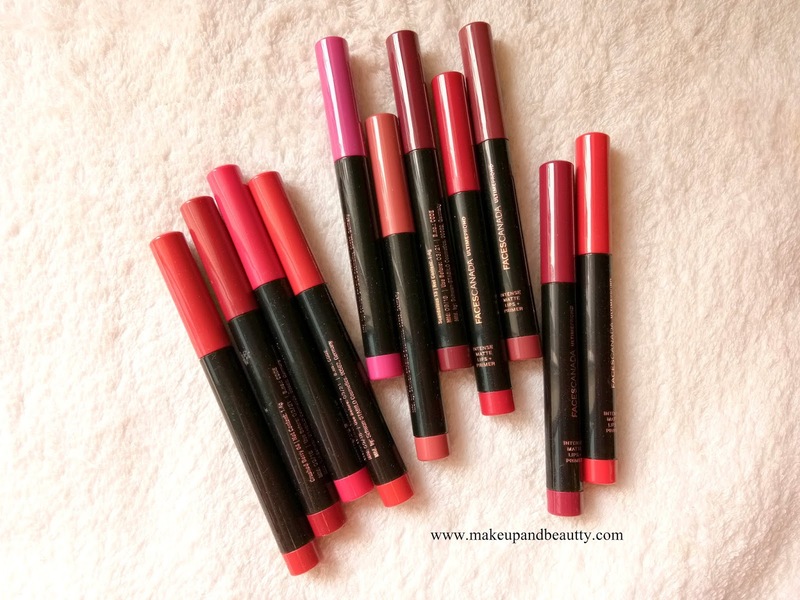 These lipsticks are known as FACES ULTIMATE PRO HD INTENSE MATTE LIPSTICK + PRIMER LIPSTICKS. There are 17 shades and I picked up 11 shades from it (almost all...lol). 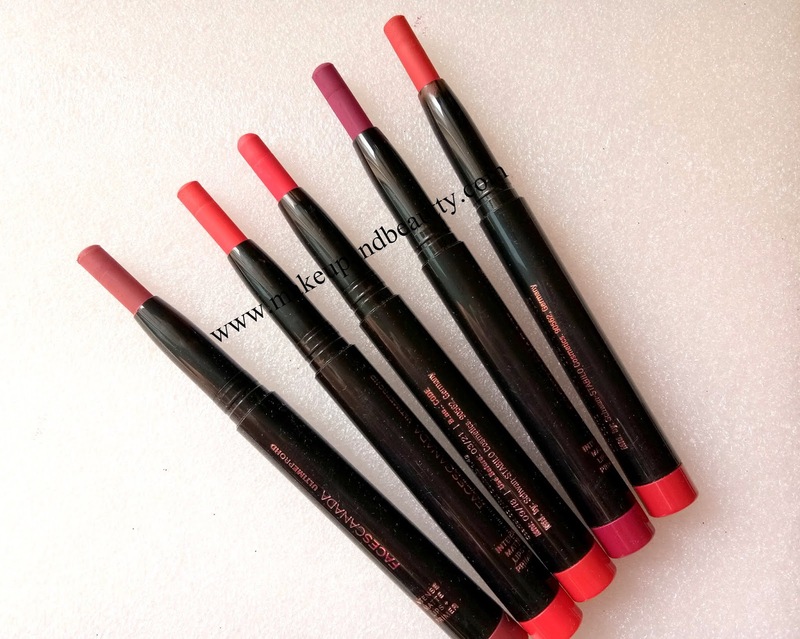 The lipsticks come in a twist up packaging for which it is easy to use. The bullet of the lipsticks is really slim which is actually good for people who have thin lips. Moreover, the slim bullet helps to line and fill up the lips easily.The cap of each lipstick have the matching color with the actual shade of the lipstick in it for which it is very easy to pick any particular shade from stash. 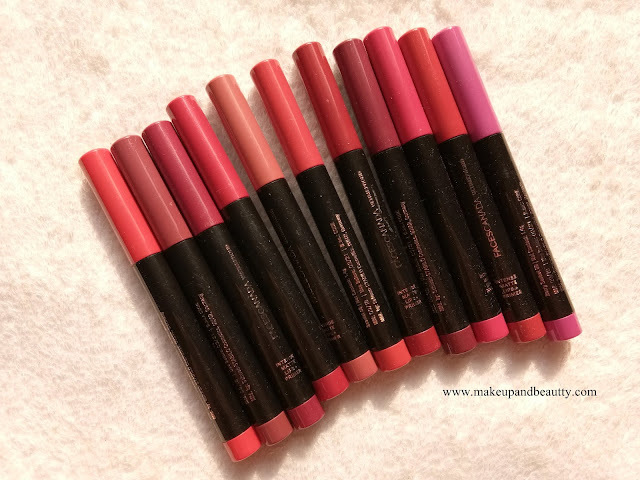 The texture of the lipsticks is matte. They glide smoothly on lips without any tugging or pulling of lips. The lipsticks turn to matte gradually with time. So it is my suggestion that give the time of about 1 hour to set it totally matte on your lips. 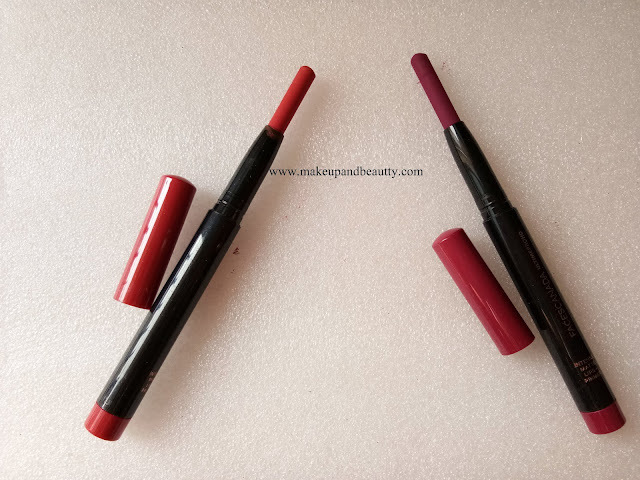 The lipsticks are not transferred proof at first but with time they gradually turn transfer proof. The lipsticks stay pretty 5-6 hours on my lips with a slight bit of fading if you eat anything. 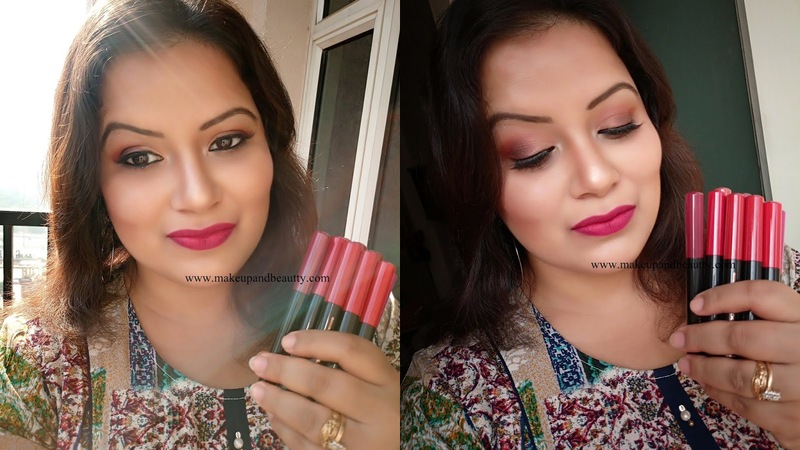 The pigmentation of these lipsticks are awesome, one or two swipe is just enough to get that opaque coverage. 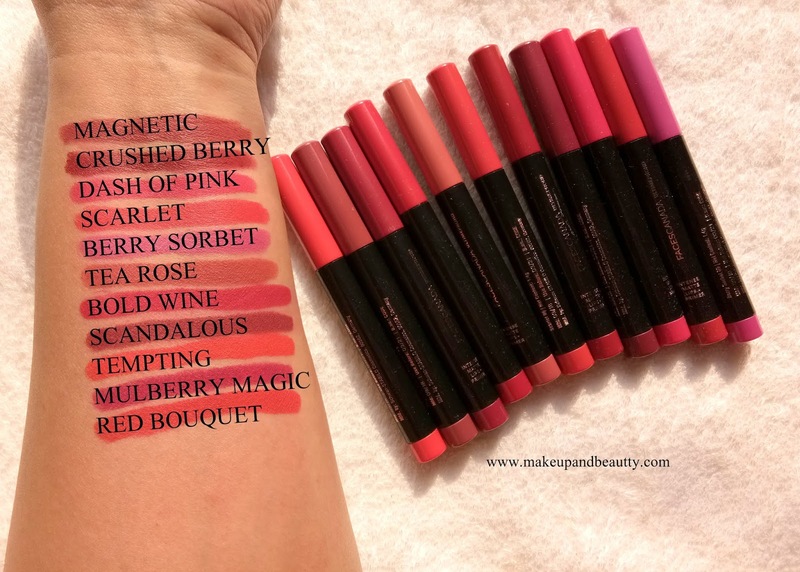 So overall keeping the price point (which is high) aside if I ask then definitely I would love to recommend these lipsticks to all matte lovers.